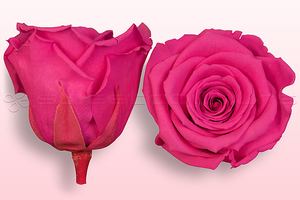 Rose amor is a leading producer and exporter of premium stabilised roses, with distributors throughout Europe, the United States, Japan, China and many other countries. 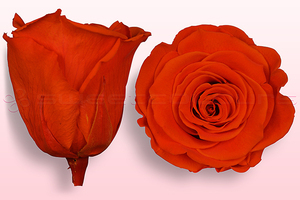 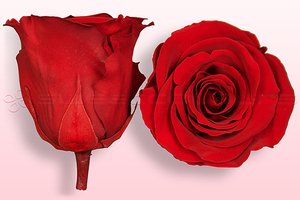 Fifteen years of experience have made Rose amor market leader in producing preserved roses of the highest quality. 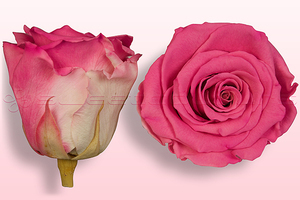 During a unique conservation process the roses are treated with a mixture of glycerine and dye which preserves the roses for over a year. 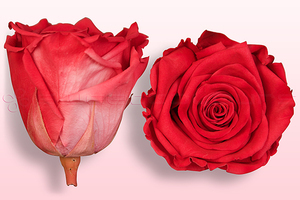 Developing this process has taken more than three years. 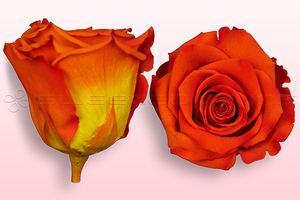 After stabilising, the fresh roses are placed in tubs in sturdy carton window boxes. 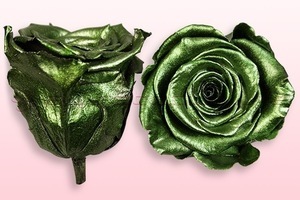 This protects the roses effectively from damage during shipping. 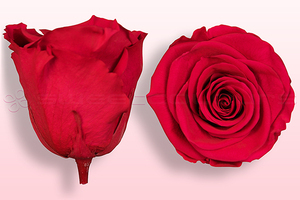 The stemless Rose amor roses are available in different sizes such as M, L, XL and even XXL. 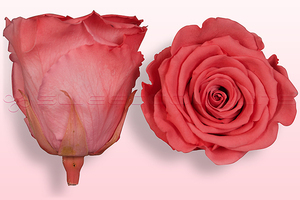 These roses have a diameter ranging from 3 to 9 cm and a height of 3 to 7 cm. 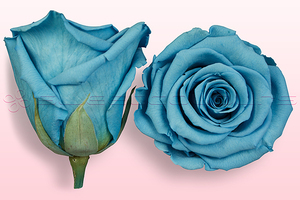 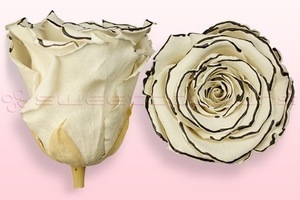 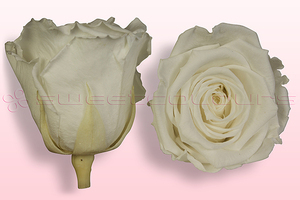 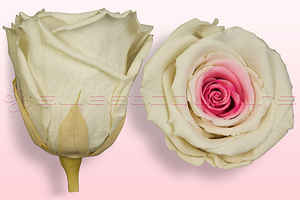 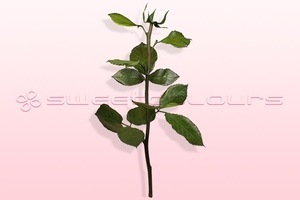 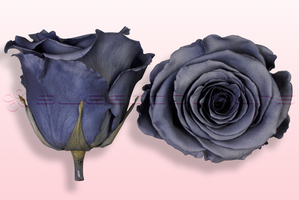 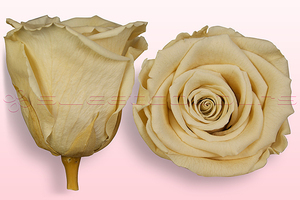 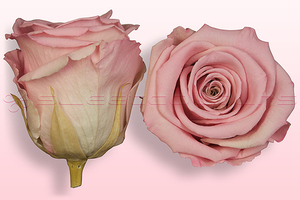 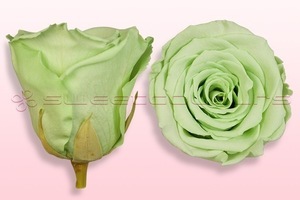 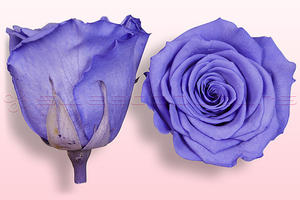 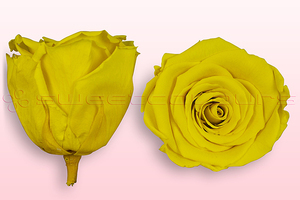 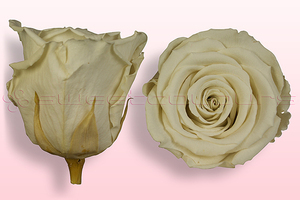 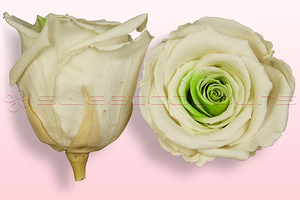 Preserved roses with a stem of approximately 70 cm are also available and these come packed in individual boxes. 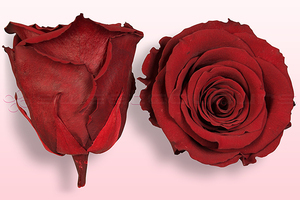 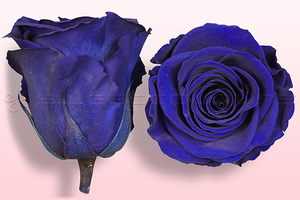 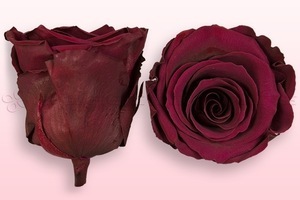 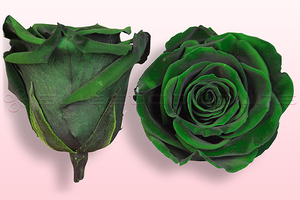 Freeze-dried or preserved roses: what is the difference? 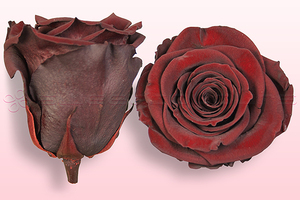 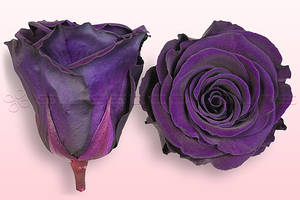 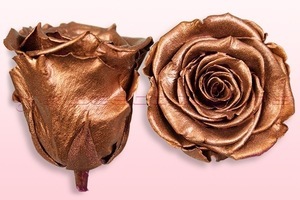 There is a lot of confusion among consumers and florists concerning freeze-dried and preserved roses. 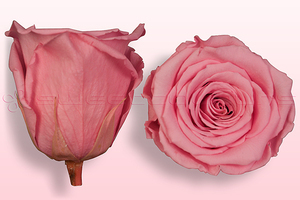 Freeze-dried roses are exclusively suitable to be used for freeze dried rose petals in which we have specialised in the meantime. 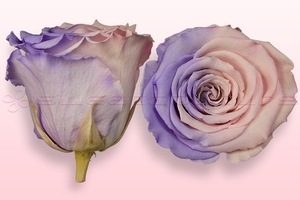 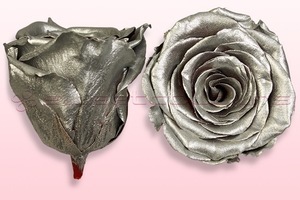 These rose heads are not suitable for decoration. 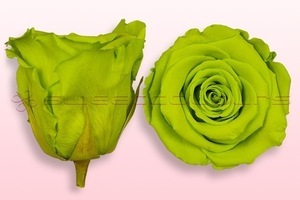 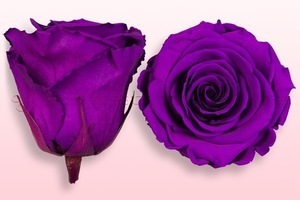 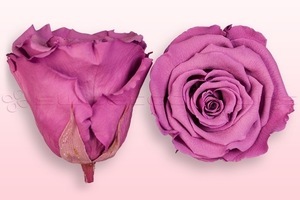 Are you really looking for rose heads which will last for a long time? 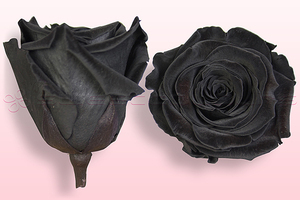 Then you are looking for preserved roses. 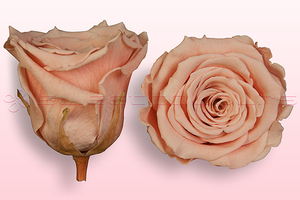 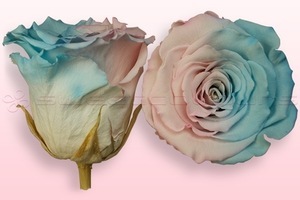 These roses are silky-soft, beautiful and with a lasting colour which will keep for more than 1 year! 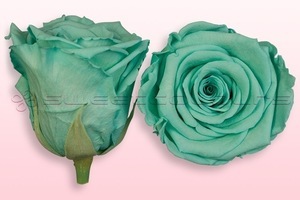 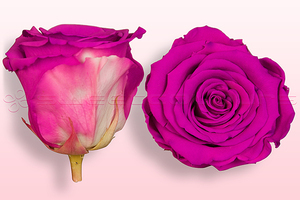 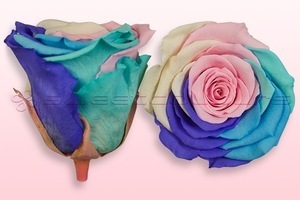 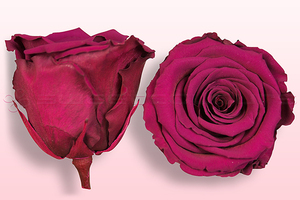 Sweet Colours sells the roses of Rose amor in over 30 colours and 4 different sizes (M, L, XL and XXL). 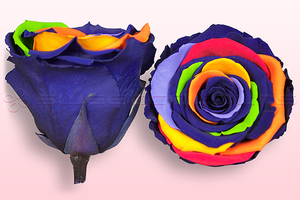 You will always receive your order in a beautiful package with a window. 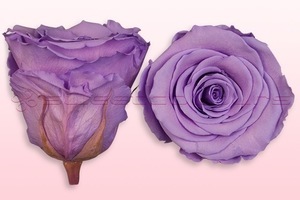 Click on the photo of the colour you prefer for further information about sizes and prices (for instance the beautiful dark red or pastel light pink roses). 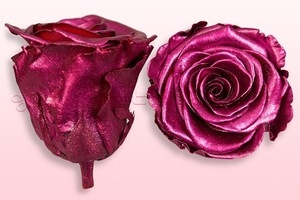 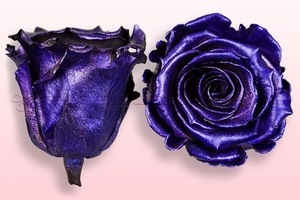 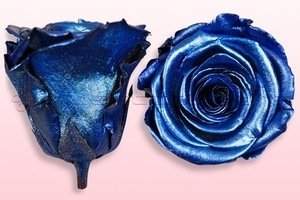 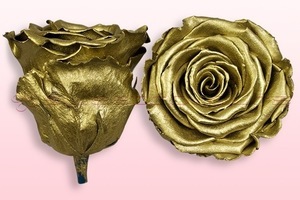 The preserved roses are directly available from our web shop and will be shipped the same day! 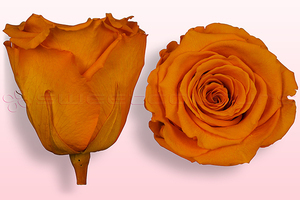 Treat the roses with care at home and you will enjoy a long lasting experience.